Artist must be working in Africa. All submissions must be made through the online application form. All works must be related to the theme: “Progressive Africa”. Upload max 10 digital images (jpg, png, pdf, gif) of the artworks and mention Title, Size and Media. In applying for the Biennale, the artist is complying with the conditions and requirements set by the Biennale organisation. – Prize for best Artist Overall. – Prize for Popular Viewer’s Choice. – Prize for the best Artist in the Student Category. Deadline for entries is March 31st 2014. Application is free of charge. Artists will not receive payment. Copyright of the submitted works remains the artist’s. The awards ceremony will take place during the closing of the Exhibition on August 31st 2014. 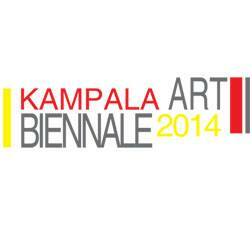 For more information contact Elizabeth on info@kampalabiennale.org , +256 (0)772 662 575. This entry was posted in Art, Competitions, Events, Exhibitions, Illustration, Paintings, Photography, Submissions/Proposals, Uganda and tagged Daudi Karungi, Kampala, Kampala Art Biennale, Kampala Arts Trust. Bookmark the permalink.